Description: A special recipe of beef, kangaroo and brawn (an aspic style mix of meat meal, wheatgerm and cereals). 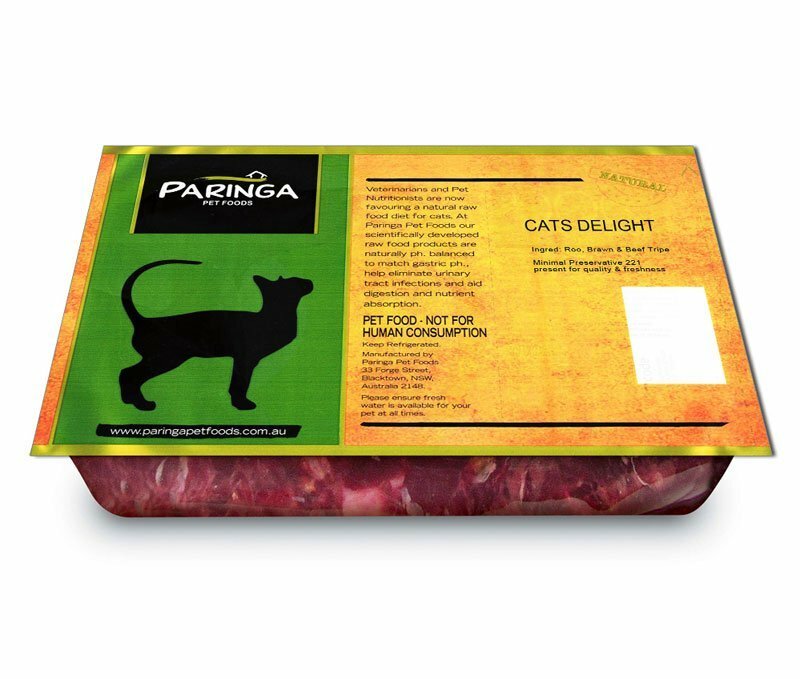 Highly recommended for cats – they just love it! 1kg pack. A wonderful source of fat free nutrients, a superb low allergenic meat and also helpful for skin irritations. Ingredients: Beef, kangaroo, meal, wheatgerm, cereal, fresh beef tripe.